Based in Tampa, William E. Hahn, P.A. is a preeminent Florida trial attorney whose practice is dedicated to helping injured plaintiffs throughout the west coast of Florida in medical malpractice, legal malpractice, and serious personal injury cases. To learn more about our legal services, please see our practice areas overview page. Mr. Hahn has successfully tried many personal injury and professional negligence cases to verdict before juries and judges and is a Board Certified Civil Trial Lawyer, certified by the Florida Bar Board of Legal Specialization and Education. He has been recognized many times over for his exceptional legal services by his peers and the legal community. Mr. Hahn is listed in Best Lawyers in America, Florida's Super Lawyers, and Florida's Leading Attorneys in the categories of personal injury law and medical malpractice. In 2009, Best Lawyers in America named Mr. Hahn the "Tampa Bay Best Lawyers Personal Injury Litigator of the Year for 2009," an award given for the very first time to Mr. Hahn. In addition, Mr. Hahn has received the prestigious AV rating from Martindale-Hubbell, signifying the highest ethical standards and legal ability. In 2010 Mr. Hahn was nominated and selected to The American Law Institute. The American Law Institute is the leading independent organization in the United States producing scholarly work to clarify, modernize, and otherwise improve the law. The Institute (made up of 4000 lawyers, judges, and law professors of the highest qualifications) drafts, discusses, revises, and publishes Restatements of the Law, model statutes, and principles of law that are enormously influential in the courts and legislatures, as well as in legal scholarship and education. Mr. Hahn works directly with all of his clients, communicating with them personally and returning phone calls. He helps his clients understand their legal options and keeps them up to date on the status of their cases. Mr. Hahn works side-by-side with his dedicated legal assistant, who has been with him for 25 years. We handle personal injury and professional negligence cases throughout the west coast of Florida, including Tampa, Pinellas, Manatee, Charlotte, Collier, Fort Meyers, Pasco, Polk, Sarasota, and Naples. We offer free consultations and are conveniently located just outside of downtown Tampa in Old Hyde Park. Contact William E. Hahn today at (813) 250-0660. Mr. Hahn also handles serious and catastrophic personal injury and wrongful death claims, including brain injury cases. Mr. Hahn represents injured persons who have been involved in automobile accidents, trucking accidents, and slip and fall accidents (also known as premises liability cases). Mr. Hahn also represents families of accident and negligence victims in wrongful death cases. Contact William E. Hahn, P.A., today to schedule a free initial consultation to discuss your case. Mr. Hahn has been a Florida civil trial attorney for the entirety of his career. After beginning his career as a defense attorney representing clients in complex civil litigation, Mr. Hahn changed focus and has been the representing injured persons in medical malpractice, legal malpractice, and serious personal injury claims for many years. Mr. Hahn is based in Tampa and represents clients throughout the west coast of Florida. Mr. Hahn is an expert in the area of civil jury trials and is a Board Certified Civil Trial Lawyer, certified by the Florida Bar Board of Legal Specialization and Education. 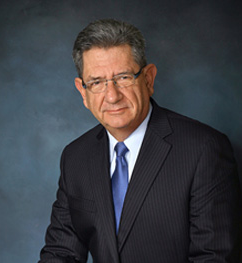 In addition to receiving numerous recognitions for his accomplishments in personal injury and medical malpractice cases, Mr. Hahn was influential in formulating Florida's civil jury instructions during his seven years as an appointee on the Florida Supreme Court's Civil Jury Instruction Committee. Mr. Hahn frequently lectures for the Florida State Bar Association and other local bar associations on topics related to jury trials, such as jury selection, and is the author of the chapter on the "Trial of a Medical Malpractice Case" in the Florida Medical Malpractice Handbook, published by the Florida Bar. Mr. Hahn earned his Juris Doctorate from the University of Florida in 1972 and his Bachelor of Arts in Economics and Political Science from Marietta College in Marietta, Ohio in1968. He was admitted to practice in Florida in 1972 as well as to the U.S. District Courts for the Middle and Southern Districts of Florida. Mr. Hahn is also admitted to practice before the U.S. Court of Appeals for the Fifth and Eleventh Circuits. Author, Chapter on the "Trial of a Medical Malpractice Case," Florida Medical Malpractice Handbook, Florida Bar, Continuing Legal Education. Hillsborough County Crisis Center, Inc.